Steve Mayles, the designer of King K. Rool, recently spoke to Nintendo Life to share his thoughts on what he thinks about King K. Rool’s inclusion in Super Smash Bros. Ultimate. Mayles believed King K. Rool had a fair chance as he previously appeared as a Mii costume in Super Smash Bros. for Wii U/Nintendo 3DS. The designer loves how Sakurai and Nintendo designed King K. Rool in Super Smash Bros. Ultimate. “I had no idea he was going to be included. I knew he had a fair chance as he had appeared as a Mii costume previously, and since then he has been at the top, or close to the top, of many votes and ballots. There seemed to be a real groundswell of positivity in K.Rool’s direction that Nintendo would find hard to ignore, I thought. I’d love to have been involved in any capacity of bringing K.Rool back of course. Maybe another time. K.Rool was a big part of the Rare-created Donkey Kong games in the ’90s but since then has fallen out of favour for some reason, but let’s ignore that, he’s back now! 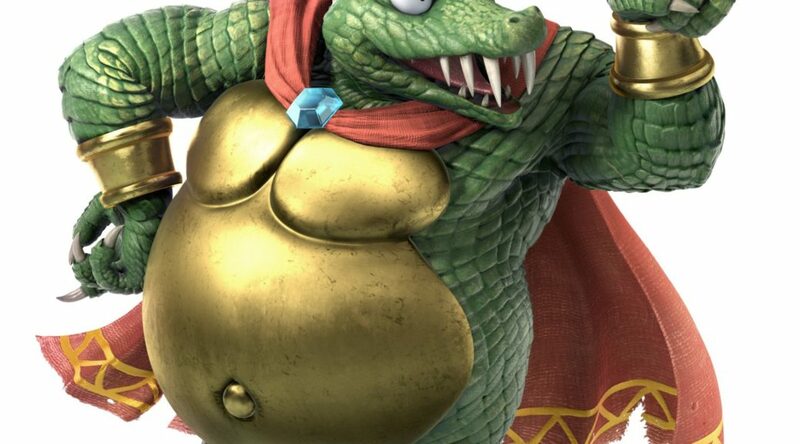 Some fans on the internet had made it their personal mission in life to bring back K.Rool, restore the King to his former glory; this passion amongst gamers always amazes me. I saw footage of the Nintendo Direct from the Nintendo store in New York with people chanting ‘K.Rool, K.Rool’ – it was great! I have no doubt the fans’ attitude to K.Rool and the proactive way they went about supporting their favourite crocodile made all the difference.